Emma Dortins is a Sydney-based historian and cultural heritage practitioner. She was awarded a PhD in history by the University of Sydney in 2013. A member of the Professional Historians Association (NSW and ACT), she has worked as a consulting historian, tutored and lectured for the University of Sydney and University of New England, and is currently part of the Heritage Division of the NSW Office of Environment and Heritage. The Lives of Stories traces three stories of Aboriginal–settler friendships that intersect with the ways in which Australians remember founding national stories, build narratives for cultural revival, and work on reconciliation and self-determination. 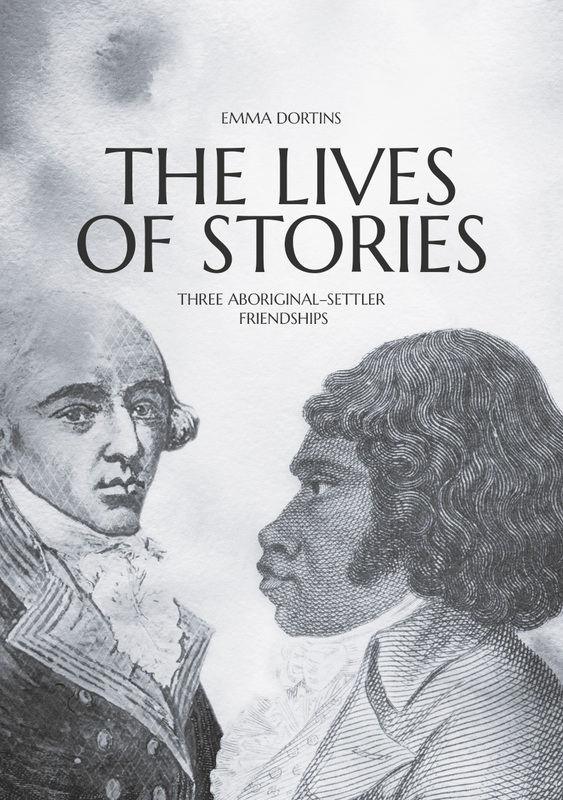 These three stories, which are still being told with creativity and commitment by storytellers today, are the story of James Morrill’s adoption by Birri-Gubba people and re-adoption 17 years later into the new colony of Queensland, the story of Bennelong and his relationship with Governor Phillip and the Sydney colonists, and the story of friendship between Wiradjuri leader Windradyne and the Suttor family. Each is an intimate story about people involved in relationships of goodwill, care, adoptive kinship and mutual learning across cultures, and the strains of maintaining or relinquishing these bonds as they took part in the larger events that signified the colonisation of Aboriginal lands by the British. Each is a story in which cross-cultural understanding and misunderstanding are deeply embedded, and in which the act of storytelling itself has always been an engagement in cross-cultural relations. The Lives of Stories reflects on the nature of story as part of our cultural inheritance, and seeks to engage the reader in becoming more conscious of our own effect as history-makers as we retell old stories with new meanings in the present, and pass them on to new generations.